Lovely lavender collected from our local lavender farm. 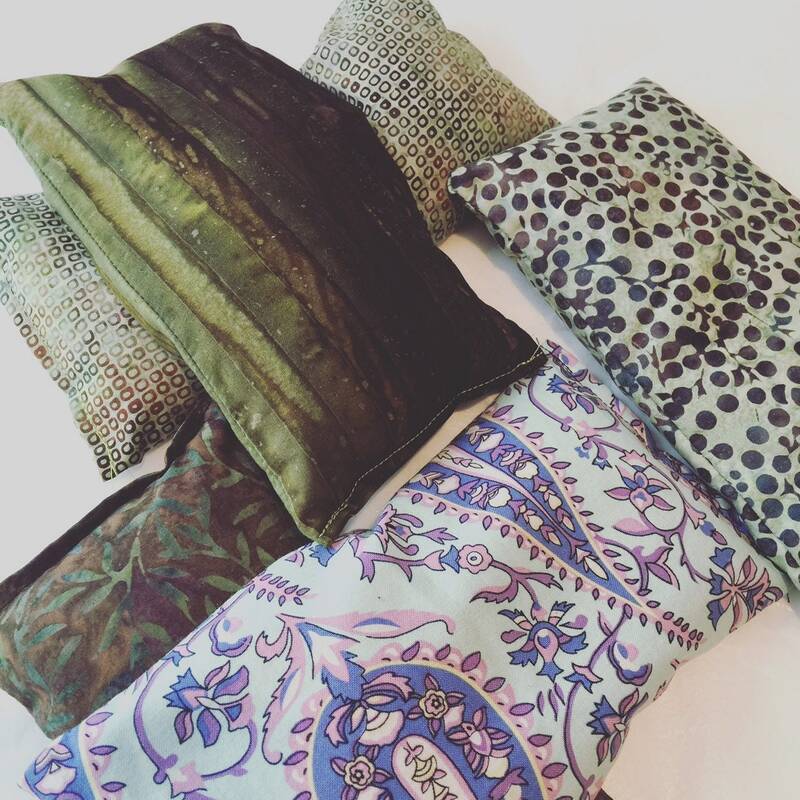 These pillows are great to use when you need to take a break and reset. I use them when I take a nap, or meditate. There is dried Lavender buds, flax seed, and Lavender essential oil.